Using the Word of God during spiritual battles is guaranteed to get results. It is the sword of the Spirit and will cut to pieces the snares of the enemy. Whatever is coming against you, find out what God says and put it in your mouth. When you speak what you believe, you send a message to the devil that says you are fighting back and you are winning. Satans objective is to steal, kill, and destroy. He operates through the carnal nature of man...the flesh, or any way of thinking that opposes Gods Word. Satan is not a fictional character or a figment of the imagination. He is a real spiritual being who has a specific agenda: to destroy peoples lives and lead them to Hell. Every human being will have to go before Jesus and give an account of the life they lived. What will your story be? Honor God with your body by abstaining from things that defile it. Breakthrough comes when we deliberately continue in that truth by renewing our minds with it over and over again, and acting on it. In other words, that truth must become a lifestyle before it will produce the results we desire. The good news is that while Satan is real, so is God! In fact, God is more powerful than any demonic force in Hell. And when a Christian knows who they are in Christ, they can exercise authority over the devil and stop his works. Satan exists in the unseen spiritual realm and manifests himself in the physical realm as evil, selfishness, carnality, perversion, destruction, death, sin, sickness, poverty, and a host of other negative entities. The biggest lie he pushes off on people is that he does not exist, when in fact, he is real! The Bible is not a history book. It is the manual for life. When you study the Word of God, you develop a personal relationship with the Father. Then, you begin to gain understanding on how to mirror Him. When you imitate the Father, like Jesus, you will make a mark in the lives of others that can never be erased! Nothing can stand against you when you know the authority you operate in because of the blood. His blood has given you the victory over every battle you face! Begin to proclaim your status today. Speak your faith out loud concerning what the blood of Jesus has accomplished for you, knowing that your breakthrough is very near. New Updates! (4/26/2019) We've been working really hard on completing our membership system so you can submit quotes and keep track of them. Once this is complete in the coming weeks there will be a lot more quotes by Creflo Dollar and other authors. 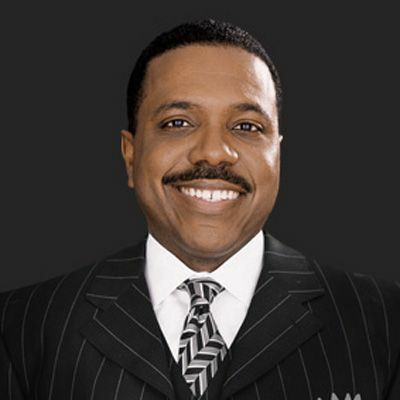 We've also changed the sorting on the site so you now see the latest Creflo Dollar quotes first. Our goal is to have the best Creflo Dollar quotes on the web!